Car Key Replacement Waterloo with T&B Lock and Door Service, you will already recognize one of our techs’ friendly faces. 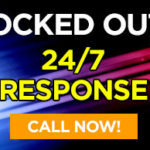 Not only do we provide emergency locksmith services, we provide any type of locksmith service you can think of. We also provide car key replacement and duplication as well as programming, in shop or by a mobile service! We pride ourselves on providing our customers an outstanding quality of service. Our technicians are mobile and fully equipped for even those emergency situations. Located across the street in your local area of Waterloo, a neighbour you can trust to get the job done right the first time! Our friendly & helpful staff is available to come onsite for all of your car key replacement needs. So no matter what time of day or night it is, no matter the day of week, we can be reached at your convenience – for whatever life throws at you! We’ve got you covered. Car Key Replacement Waterloo is here to help make your life easier. We can replace keys for all types and models of cars, trucks, SUVs, and more! Not sure about something? Don’t hesitate to give us a call! For all of your car key needs, for every situation that comes your way. We’ll be here when you need us most.